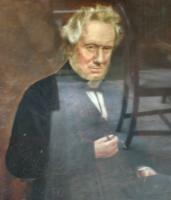 At the meeting of the Association in Leeds in 1839, he partnered James Stanley Kipping 1791-1869 whose son married his daughter Julia Du Val. Another Manchester player there was his friend Sir Charles Halle, the founder of the Halle Orchestra. After a valiant fight Du Val and Kipping were defeated by the great player Staunton. “The game excited considerable interest in both towns; and, through the courtesy of the Telegraph Company, the clubs were accommodated with rooms at each terminus, so as to be in close proximity of the wires. By this means a move made on the board at the Manchester telegraph office, for instance, could be known to the Liverpool players, even before the messenger dispatched from the same office could carry the intelligence of the move to the other members of the Manchester club, who were assembled in the Ridgefield, a walk of three minutes. In these rooms of the club many persons interested in Chess assembled, the club having given a public invitation, and numerous players had their boards, following the course of the game. In Liverpool, also, the rooms of the club, which are in the Medical Institution, Mount Pleasant, were open to the public. Up to eight o'clock only eleven moves had taken place - those made by the Liverpool club occupying much more time than was taken by the Manchester gentlemen. At one o'clock the moves numbered 28, when the game was drawn by mutual consent, having lasted eight hours.” (2). "It was there I first witnessed Blackburne (3) perform the feat of playing twenty games blindfold, and I can remember him so well sitting quietly at the fireplace, and as the moves at each board were brought to him he seemed to call back mentally as you looked at him the whole situation of the game, and would very quickly give his reply to his opponent's move. At the time of which I speak, M. Bateson Wood and S. Cohen were both regular visitors at the club;and there was C.A. Duval, the President, and Mr. Potter, of Potter and Wood. There was J.S. Kipping (4), with his neglige, very much auburn hair. Yes, that old-fashioned upper room was a very pleasant place to pass a quiet, enjoyable evening." (5). (1) An account of the inaugural meeting of the Northern and Midland Counties Chess Association is given in The Codification of Chess from The Chess Congress of 1862 by Janos Jakab Lowenthal at page xix (2008). At the Manchester meeting in 1853 the modern international rules and conventions of chess were established. (2) The account of the Manchester-Liverpool chess match played by telegraph, quoting the report in the Manchester Guardian dated 29 March 1856, is from the book Howard Staunton and Chess by ‘Electric Telegraph' by John S. Hilbert. (3) The virtuoso chess player Blackburne was Joseph Henry Blackburne (1841-1924). He was born in Chorlton-on-Medlock in Manchester, the village suburb where Charles Allen Du Val and his family lived. Blackburne was considerably younger than Du Val, and joined the Manchester Chess Club in about 1860. He became very famous in chess circles, and was an extraordinary character. (4) J.S. Kipping was James Stanley Kipping, who married Julia Du Val, the daughter of Charles Allen Du Val and became the father of the scientist Frederic Stanley Kipping. (5) Reminiscences of Manchester and some of the Local Surroundings from the Year 1840 by Louis M. Hayes (1905) page 315.